A heated sampling system is necessary when the situation requires maximum measuring accuracy (e.g. if there are high concentrations of NO2 or SO2 in the flue gas) or if a heated system is a legal requirement in your country. A heated system prevents condensation of the flue gas being measured within the sampling system. Gaseous media are transported over short and long distances at constant temperature. For applications of this kind, which require heated sampling, we offer our heated industrial probe set for the extractive sampling of flue gas being analyzed. 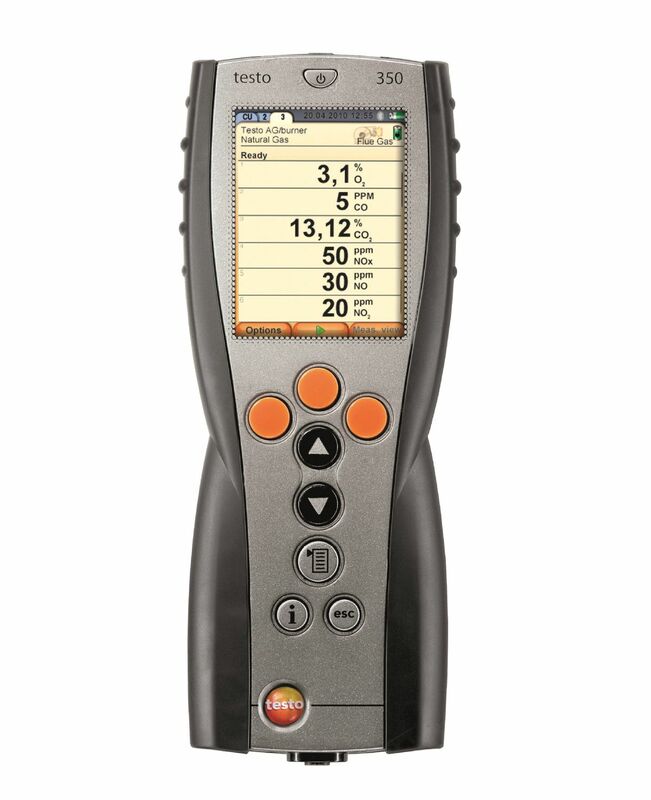 It can be used in combination with the testo 350 or testo 340. 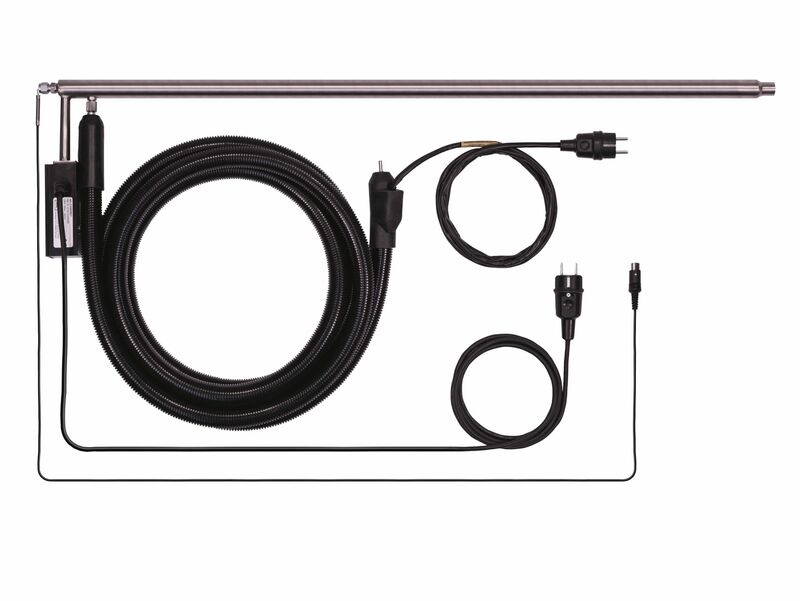 Easy to handle, the heated industrial probe set prevents condensate forming and prevents the temperature within the sampling system falling below the flue gas dewpoint. The heated sampling tube (600 °C) can be extended to a max. 3 m using optional extension tubes. The thermocouple (2.2m) can be added as an accessory to enable you to carry out simultaneous temperature measurement with a 2m long probe. You can also install an optional preliminary filter for measurements involving a high dust load. 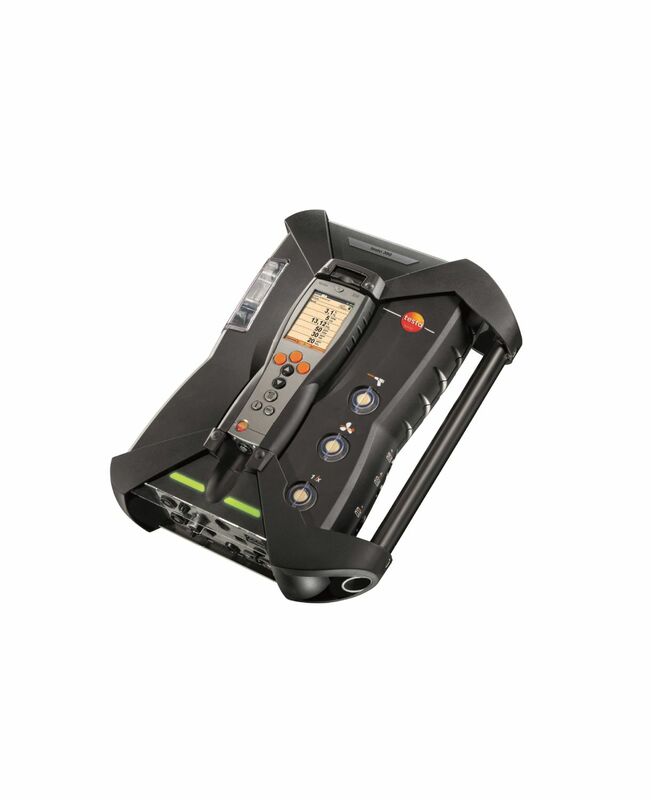 You can use other accessories to put together an application-specific sampling solution.